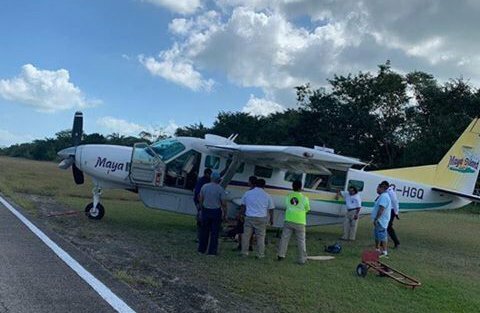 On Wednesday, February 6th, a Maya Island Air Cessna plane reportedly experienced a flat tire while taxiing on the Corozal Municipal Airport in Corozal Town. According to reports from the airline, ground personnel pushed the aircraft off the runway by hand to avoid obstructing the airstrip. No one was inside the aircraft, and nobody on the ground was hurt. A press release provided by Maya Island Air indicated that the aircraft did not run off the runway as previously reported. The release explained that a Ferry flight 2M4021, from San Pedro Town to Corozal Town, experienced a flat tire while on the runway. It is not certain whether it was caused by debris on the runway. The tire was replaced by Maya engineers and the plane was returned to service.